Microtransactions are currently one of the most popular ways to monetize videogames, in particular free to play ones. The objective of this dissertation is to study the microtransactions business model and understand why it’s so popular, how can it succeed and how does it fail. In order to better understand how the model works, the study focuses on four cases of companies that have published titles using this business model and how successful their games were, as well as implications in terms of company popularity, model popularity and what caused some of them to fail. Paired with these cases, two surveys were conducted to players of two popular video games that include microtransactions, Hearthstone and League of Legends, to better understand how much money players are spending in the games, how common it is to spend money in free video games and what kind of content they are interested in. Overall, the objective of the study was accomplished, with the results of the survey and case studies allowing a better comprehension of the player motivations when investing money in videogames and establishing a correlation between how long the players have been interested in the game and how much money they have spent. Play behavior is one of the most astonishing characteristics of the animal kingdom as it continuously resists a watertight definition mostly because unlike most other types of animal behavior, its function and evolution are rarely obvious and have remained somewhat resistant to experimental resolution (M. Bekoff, J.A.Byers, 1998). However humans seem to have evolved past just a simple play behavior and in turn developed what we now call games. Games are a lot more complex but in the end it seems that they all share four defining traits: a goal, rules, a feedback system, and voluntary participation (McGonigal, 2011). Games have evolved considerably throughout the human history; however the golden age for gaming evolution has been the 20th century as society entered the new technological era. It was in this time period that computers were invented, in turn paving way for the inception of the video games. Although historians disagree on which video game was created first, one of the most famous was called Nim. It was made by a British company, Feranti, and a whole new computer system was developed just to play the game which weighed over a ton (Redheffer, 1948). A long time has passed since the first video game, and with every iteration of smaller and cheaper computers there were more and more companies who saw the potential of this industry. Soon enough the market was flooded with video game consoles, arcades and personal computers. Everyone wanted a piece of this new and exponentially growing market. It’s 2015 now and the video game industry is larger than ever before, with hundreds of big name companies and thousands of independent developers creating games every year (Carless, 2007). 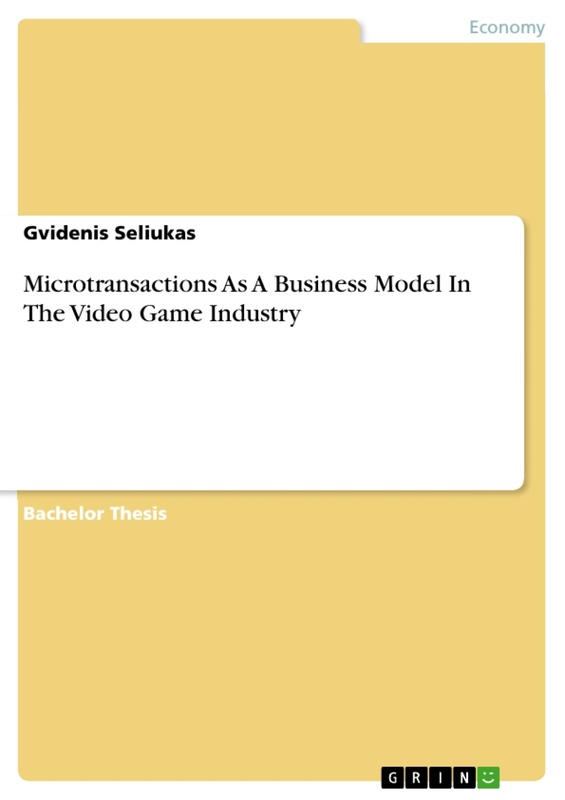 The purpose of this dissertation is to understand how video games monetization models have evolved, focusing primarily on microtransactions, and provide answer to four questions: (1) is Microtransactions a successful business model? (2) What makes people spend money in free video games? (3) How should the business model be implemented in order to achieve success? (4) Why and when does the model fail? Pong is, by many, considered the first video game ever made. However, it is simply the first game to have achieved “hit” status (Wolf M. J., 2008), over ten years before the success of Pong, the now called “forgotten fathers” of the video game industry were taking their first steps in creating video games. In 1961, after over six months of work on the project, Steve Russell showed his game project to his colleagues at MIT͘ Called “Spacewar” it was possibly the earliest video game ever made. His colleagues added functionalities to his code and by 1962 it was a completely developed project. However, this game only worked in the giant computers of the 1960s and therefore had no practical application in being distributed to the public. Ralph Baer’s machine, on the other hand, achieved some popularity. He was the creator of the first home console, the Magnavox Odyssey, which was merely a machine that made dots move on the TV, with gaming environments that had to be physically laid on the display. Due to the outrageous price of $100 and poor advertisement, this console seemed doomed for failure, but it caught the eye of Nolan Bushnell. Due to slow processing of patents, Pong was imitated by many competitors, and that is likely the reason it became so popular so quickly. In 1975 Atari released the home version of Pong. The industry entered what is frequently called “The Golden ge” of video gaming, with more and more companies entering the video game business and its net worth peaked at $3.2 billion in 1983.
racked up $536 million dollars in losses and the company was sold the next year. By 1985 the industry had shrunk by 97% and it was now worth around $100 million. The recovery was slow, but it was mostly possible due to two factors: the introduction of home computers, like the Commodore, and Nintendo. In 1985 Nintendo released the NES and this console became so popular in Japan that it made its way into the US market. After this renewed success, many companies decided to step back into the video game market, like Sega, Phillips and Sony. The market has continued to grow since 1985 and is now estimated to be worth around $81.5 B. The game industry went from arcade machines to home machines that could only play one game, to cartridge machines and finally to home computers and consoles who can do a multitude of other tasks beyond playing games. The way games are released and how companies generate profit from them has also changed, from the classic coins into an arcade machine, to paying up front for the consoles and games and into a new generation of online games which can be free, use the microtransactions model or continue to adopt an older business model. The video game industry is continuing to evolve and its business models are evolving with it. Originally, video games were free. They mostly consisted of simple coding (like SpaceWar), passed around in labs and computer science departments (Fields, 2012). When games were brought out to the general public, there was a need to create a business model and find a way to monetize, as game development involves countless hours of design and programming (Kokkonen, 2014). A business model can be most commonly defined as a plan or system that explains how a particular business works. It should include the relationship between the business and its environment, the way the business plans on achieving profits and the description of services and/or products provided (Olsson, 2010). people’s daily lives͘ The customer will still play upfront for the product but instead of a physical copy there will be a downloaded file into the users system. This helps companies cut production costs and makes it possible for digital copies to be sold cheaper than physical copies. Microtransactions is a business model based on the possibility of game users buying extra content in the game. Most of these games are now coming out as free to play, being simply supported by the microtransactions money, others will use the advertising model and offer an advertisement free experience for a premium. The next chapter will focus further on the evolution of the micro transaction model and its importance as a business model in today’s video game industry. A micro transaction can be defined as using a small amount of money to purchase something online; however the concept has been around for a long time before the internet. Arcade machines are often seen as the predecessor of the micro transaction model: they offered extra lives or extra game time in exchange for a small amount of money, similar to what many social games offer today (Kokkonen, 2014). The main difference when considering these two forms of micro transaction is the environment they are inserted into, a player that approaches an arcade machine knows that he will have to pay to play the video games, meanwhile most of the games that use this business model are classified as free to play (Griliopoulos, 2012). Three games worth mentioning as the first of its genre in relation to microtransactions are “Colony 7”, “Hattrick” and “Creatures 3”͘ “Colony 7” was a 1981 arcade machine game that first introduced the concept of purchasing different weapon upgrades through microtransactions, giving players who chose to pay an advantage over the ones who didn’t͘ “Hattrick”, in 1997, was the first browser based massive multiplayer online game to introduce the option of paying for cosmetic upgrades. Finally, “Creatures 3”, in 1999, used microtransactions to let the players acquire different avatars to play the game with. The earliest adopters of this business model were mostly browser based games or simple windows applications (Garland, 2014). In the 2000s microtransactions started becoming extremely popular and many games started using it. Even though this model exists almost exclusively in PC games, mobile games and social games; one of the key factors that launched its popularity was the XBOX 360’s marketplace, which charged small fees to its customers in exchange for small cosmetic updates to the appearance of their avatars (GiantBomb, 2015). Nowadays, with free to play games defaulting to this business model and some full retail price games offering extra content with microtransactions, it seems that it is here to stay. Industry executives and reporters are convinced that these games will become the norm in the future, meaning that video game companies and gamers alike will have to start to adapt to this gaming model (Johnson, 2014) (Makuch, 2012). - Extra time/moves/lives - as seen in the social game hit Candy Crush Saga by King, this allows the player to continue playing after they used all their lives without waiting to recharge or gives them extra moves or time to finish a level (Jenkins, 2014). Candy crush extra lives microtransaction, own screenshot. - Cosmetic updates - very common in the MOBA or MMO genres, these usually offer ways to modify characters or player avatars with different outfits or items. - Special items - another aspect of social games, allowing the players to purchase special items that can then be displayed to other players. - Extra content - this is a common reward for mobile phone games, many are free to download and will include some levels and content, the player can then choose to pay a small fee to access extra maps and content. Another example of this is the game Hearthstone, an online TCG which allows players to buy card packs or access to extra adventure modes. Hearthstone card purchase screen, own screenshot. - Experience/point boosters - in games where rankings exist it is frequent to see some form of experience or point boosters, which increase the amount a player receives from each quest or battle by a certain percentage. - this makes the players feel like they are being cheated and manipulated (Griliopoulos, 2012). Keeping the player base happy should always be the main goal of video game developers. Doing that while using microtransactions as a business model is possible, as long as companies remember to make sure whatever content they offer as purchasable should not upset the balance of the game, especially in multiplayer games. It is also important for the players that any in relevant game item, other than cosmetic upgrades, should be available to gamers who choose not to pay for it as long as they are willing to spend extra time and effort acquiring it and whenever players decide to pay for items, the prices and the nature of the transaction should be clearly stated. Finally, companies should avoid designing games around paying to save time - although this is very common in social games, players can eventually feel like they aren’t truly enjoying the game and cease to play it - and realise that hiding too much content behind payment walls alienates more of their audience rather than increase their profit (Tassi, The Ten Commandments Of Microtransactions, 2013) (Winkie, 2014). According to business theory, maximising the profit should be as simple as reducing production costs and increasing the cost of the final product, however when it comes to this business model it’s not as clear as that (Chand, 2012). Games take time and money to produce and getting customers interested in a game is dependent on its quality, therefore there is limited room for reducing costs without spoiling the final product. If the price of a micro transaction is too big then the players will not be invested enough in the game to want to pay for it. A game using this business model generally relies on small transactions rather than a one-time big purchase (Maiberg, 2014). The first thing to note when it comes to micro transaction based video games is that there are three kinds of players: one group is simply interested in the free to play and will not spend any money in the game, a second group is willing to make a couple of small purchases, especially when it feels like a good value for money, and a third group, frequently called “whales” (from the gambling term), will continuously spend large sums of money in the game. This third group is usually less than 10% of the population of a game however they are responsible for 90% of the revenue. In an attempt to increase income from games, many companies attempt to specifically cater to these players (a small amount of the gaming population), trying to pull them from other games into the new one they developed. Usually companies will try to accomplish this by creating a dominant experience for the “whales”, meanwhile forgetting the small consumers or the free players. The problem is that in an online game other players are part of the content, and by alienating them there will not be enough content for the players that are left to remain invested in the game (Extra Credits, 2014). In app purchase transaction sizes VS. revenue generated (Valadares, 2011) Based on the success of many social games, some factors to maximise profit were identified: first the company must make the customers feel like the game is free; this is generally accomplished by presenting the player with an option of paying with time and social promotion vs paying with money͘ Most content is still accessible with enough time invested but ultimately it’s a choice of the players to invest the money to skip the queue when they cannot or choose not to invest the time͘ Secondly it’s important not to limit how much someone can pay for a game - the term ARPU (average revenue per user) and ARPPU (average revenue per paying user) are frequently used in the microtransactions business model. Considering that there are some customers who do not pay at all to play the game, it’s relevant to create a distinction between the two͘ Zynga, the creators of Farmville, reported in 2012 that their ARPU was around $2, however since only about 3% of their customers were paying for content, that translated to an ARPPU of around $60, nearly the same as major game developers charge as the retail price of many games. 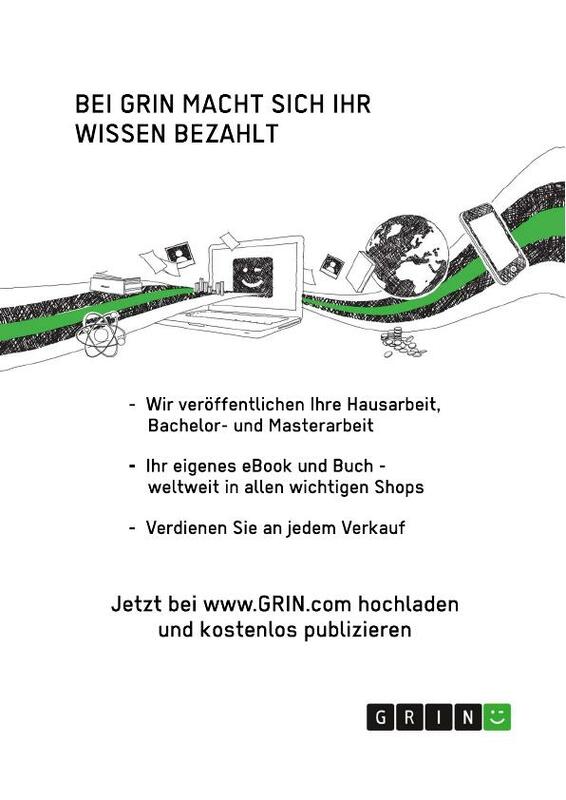 It’s also important to realise the limits of the model, ensure that the customers are kept entertained with constant updates and new activities, learn about how much customers are willing to spend before pushing them away and introduce alternative strategies such as social media publicity instead of monetary payment beyond that boundary, as customer acquisition is one of the most essential aspects of social gaming (Zichermann, 2012). While some of these strategies have been proven to work, there is an argument that most games are doing this model wrong, in fact most games will fall under two categories: the ones where it’s more enjoyable not to spend money because that will make most of the challenge of the game disappear and those where they will try to force the player to pay either by using a “pay to win” strategy or by letting the customer invest a limited number of hours before forcing them to pay. The first model fails because even though the game is interesting it will fail to monetise and the company will be forced to abandon the game. The second model will seem to work initially, but the continuous paywalls will begin to force the players out of the game (Extra Credits, 2014). Though all of this holds true for social games, computer games are usually intended to be played for longer sessions at a time, therefore including microtransactions to skip long delays limits the flow of the game and is a bad gameplay design. PC games attempt to maximise their profit by offering greater complexity and challenges, keeping their players captivated for longer. Since having a longer relationship with the game increases the emotional attachment of the players to the game or the characters, they are more likely to invest in small perks like the cosmetic upgrades. This allows the player to customise their character, further increasing their attachment to the game, while ensuring that paying customers will not upset the gameplay balance (Kokkonen, 2014). Ultimately, the goal that many developers seem to forget is that when it comes to micro transaction games, players have to enjoy the game enough to be willing to invest in it and they have to enjoy spending money on the game. The purpose of this study will be to answer the following questions: (1) is Microtransactions a successful business model? (2) What makes people spend money in video games? (3) How should the business model be implemented in order to achieve success? (4) Why and when does the model fail? They will be answered using two methods: firstly by observing case studies which reflect upon the successes and failures of companies that published games using microtransactions as a business model and attempt to derive the factors that make a difference when creating these games and secondly by conducting two surveys, posted online in internet communities tailored to fans of video games who have successfully managed to gather large audiences and profits by using the free-to-play microtransactions model. Bias will be avoided by ensuring the sample will be picked completely at random from the population, there is no special preference for any individuals and there are no questions that can identify the people taking the survey, therefore there can be no discrimination against groups or certain answers. There is, however, a tendency towards having answers that will not represent a wide enough spectrum of the game players, as these surveys will be published in online communities, meaning the players will have been invested in the game prior to the survey - there will most likely be no answers from players who just started the game or who play very casually. In this scenario the survey will aim at a 95% confidence level, with a 5% confidence interval. The populations of players for these games are over 20 million for both League of Legends and Hearthstone, but this formula does not change drastically with population above 100 000. This means the sample will be around 384 responses from both the communities. If more responses than intended are recorded they will then be used to increase the confidence interval of the results. The analysis of these surveys and case studies will then be compared with existing studies and documents included in the literature review which will then form the basis for formulating a satisfactory answer to these questions. This game can still be played with most functionalities available without any neighbours, however the special rewards that can only be achieved through adding friends and the extra content that is not only available but available faster to the players is usually a big enough incentive to invite friends to play the game, which leads to the mass propagation of the game through Facebook users (Liszkiewicz, 2010). Farmville uses microtransactions as its main income source. Players can be persuaded to speed up the time crops take to grow or buy special limited edition items to display on their farms. The first plays into the maximising the profit element of making the players seem like investing money into spending less time waiting is worth it while the second one plays into the “whale” mentality, as richer players will often want to show off their special items to their neighbours. The game also used an advertising business model; however at its peak of popularity Zynga’s profit was only 5% dependent on ad revenue, even though only 2.2% of its users were paying for content. Farmville purchase screen, own screenshot.  The huge number of users of this game can be explained by its addictive nature, which rewards you for coming back at certain intervals of time (Gardner, 2009), the simplicity of the user environment and how easy it is to learn the game (Veloso, 2010), the viral marketing and encouragement to play the game with friends. There was also an element of self-improvement and competition with other players, as well as the aspect of creativity in the creation of the farms (Morales, 2011) (Wang, 2014). Following the success of Farmville, Zynga released other similar social networking games and used advertising in their own games as well as special rewards for players who tried the new games. Zynga grew to a company that at its peak was evaluated at around $10B, more than the gaming giant EA (Takahashi, How Zynga grew from gaming outcast to $9 billion social game powerhouse, 2011) (Sornette, 2011). This peak in popularity did not, however, last very long. Zynga lost the confidence of its investors after losing PopCap to EA, consistently losing money when purchasing other companies (PeerceLanders, 2014) and game ideas and generating very negative press; the players soon followed after growing tired of spam in their pages and the more and more intrusive microtransactions that plagued all of the company’s games. Zynga had already alienated some of its player base with the “ScamVille” incident, where they were found making extra money off ads which would point players into scam websites, and their constant pushing out of new games rather than fixing the problems in their existing titles (Farivar, 2013). Companies can take from their experience that microtransactions can be a very profitable business model, as their fall was ultimately not due to their initial strategy but instead to their lack of ability to respect their existing player bases rather than treat new players as an infinite resource, their failure at following through with their planned business model which was generating profit, instead pushing to increase their profits which ended up pushing more customers away from their games and their inability to keep their “whales” happy due to not keeping the community as a whole competitive and well populated. - Successes: Addictive gameplay with balanced system for all types of players, wide distribution of product through social networking. - Failures: Lack of understanding of player necessities, unsustainable influx of new players, creation of unnecessary pay walls. Electronic Arts (EA) was founded in 1983 and is currently one of the largest game software developers, owning several smaller developing studios and having yearly revenue of around $4B. EA publishes what are called AAA games - a designation created out of need for identifying game quality after the gaming industry crash of 1983, based on the academic grading system in the US. The use of three As meant the game excelled in three different fields: quality, financial success and innovation (Podbyte, 2014)͘ The term’s meaning has changed with time and nowadays it’s mostly used to describe games produced by major game developing companies with huge budgets, such as EA, rather than being strictly tied to a quality measurement. Even though it would seem that EA is a very popular and successful company, their monetary success does not translate into popularity with their customer base, EA was in fact voted “ merica’s Worst Company” for two consecutive years (in 2012 and 2013) in the annual poll hosted by internet news website “The Consumerist” (The Consumerist, 2014) (Griffiths, 2014). The reasons for the great distaste of E relate to the companies’ release of unpolished titles, their policy on anti-piracy digital rights management (DRM) which includes always online requirements for games even when in single player mode and their approach to the micro transaction business model, going as far as defending it should be in every game (Makuch, 2012), after including it into many full retail priced titles’ multiplayer modes (Tassi, EA Voted Worst Company in America, Again, 2013). EA has steered away from offering cosmetic upgrades in their games, focusing mostly in randomly generated power boosters or in game currency for money. One of their full priced retail games that uses microtransactions is Mass Effect 3, released in 2012, which has a great number of different weapons and armour upgrades which can be obtained through investing time or money in the game’s multiplayer mode͘ The game developers saw the huge potential for monetisation in the game and decided to make the multiplayer experience necessary for the single player mode - at release it was impossible for players to get the best ending to the game without spending time in the multiplayer mode, even though the Mass Effect trilogy was always a single player experience (Caldwell-Gervais, 2014) - this, in conjunction with the fact that often the micro transaction items seemed too random to actually feel like a satisfying purchase for the player, caused a great backlash from the gaming community, resulting in the removal of the ending condition. After committing a similar mistake with Dead Space 3 (Keyes, ‘Dead Space 3′ Producer Defends Microstransactions, 2013), EA tried to contain their microtransactions just to the multiplayer modes and continues to release games using this model, such as the FIFA series, Battlefield 4 or Dragon Age: Inquisition; while these are not intrusive to the players experience they are by no means popular amongst the fans. Moreover, while the original game was filled with action and rarely was the player not doing anything, the new version is meant to be played in short intervals, quickly reaching a point where there is nothing left to do except paying to skip waiting the game timers (Bain, 2014). The game is not kind with these either, with timers that can reach 24h just to dig through one wall and using 250 gems to speed up the process - priced at £3 for 500. On top of the problem with the business model, EA angered its customer base further by preventing users from negatively rating the game in the GooglePlay store, where it is available for download, redirecting them to a feedback page if the rating was any lower than 5 (Usher, 2014). Unlike Zynga, EA has many years of experience in the industry, knowledgeable staff and a fan base built over generations of successful video games, therefore while these recent failures might have shaken E ’s reputation, they still retain a great amount of customers and most of the games released by the company are great successes at launch and despite negative feedback their microtransactions are also very successful (Keyes, EA Targeting A Billion Dollars From Microtransactions & DLC This Year, 2014). This fact is giving the game developer a chance to try and appease their fans and change the way they are approaching business. This change is becoming evident by a backtrack in their statement about featuring microtransactions in every video game (Morran, 2013) and their COO’s commitment to creating a tighter community with the players and consulting them (Takahashi, Why EA won't be the worst company in America anymore (interview), 2014). - Successes: Competitive games which make customers want to spend money, retention of customer base and revenue. - Failures: Lack of understanding of player necessities, excessive pay walls, inclusion of the model in full price retail games. Riot games was founded in 2006 and released its only title to date, “League of Legends”, in 2009. This game has become an example in the industry for how to correctly use the microtransactions model, which resulted in it becoming one of the most played video games in the world. League of Legends is a Multiplayer Online Battle Arena (MOBA) match based game. In its most popular mode two teams of five players each are matched against each other, selecting different characters and attempting to destroy the opposite team’s base while defending their own͘ Teams can be composed of five strangers, a group of friends or a mix of both and the game heavily relies on cooperation and communication in order to win the matches (Shores, 2014). Beyond its most popular mode, the game also offers a smaller version of this map in a three versus three match, a different five versus five capture the flag mode and an all random map. Riot Games frequently updates its game introducing temporary modes and new playable characters, on top of premium content. The variety of competitiveness in these modes and the constant updates allow players with different levels of commitment to enjoy the game and keeps them coming back to discover the new content. The fact that the game is free to play and very balanced has also made league of legends’ popularity explode, having around 27 million daily players last year (Tassi, Riot's 'League of Legends' Reveals Astonishing 27 Million Daily Players, 67 Million Monthly, 2014). The title is also one of the industries main advocates of eSports and has taken great strides into turning it into a major competition, such as the implementation of leagues where players and coaches get paid salaries to compete weekly against other teams (Allen, 2014) and annual live tournaments broadcasted online - the annual 2014 League of Legends championship final was watched by 11.2 million people and the winners took home a prize of 1 million dollars (RiotGames, 2014). In League of Legends all of the games maps, functionalities and characters can be obtained through gameplay. The game has two different currencies called influence points and riot points. The first can be obtained only through playing the game and can be used to purchase characters and in game stats, meanwhile the second one can only be purchased and it’s used for cosmetic upgrades and comfort perks such as earning extra experience or earning bonus influence points after each game, items that do not directly change the game play experience; therefore the game is truly free to play and neither the free users’ or the paying users’ experience is harmed by the other group (Popa, 2014) (Greene, 2013). This business model generated a $634 million revenue in 2013 and a $1B revenue in 2014, managing to do so while only having a ARPU as low as $1.30 (Reahard, 2014). The fan base surrounding the game is very large and participative and Riot Games is a company very open to dialog, employees frequently answer questions and participate in discussions in their own forums and in online communities such as Reddit. Unlike the EA case, this company has a lot of support from their fans and most are very happy with the business model, often viewing the premium content as a good purchase, giving them bragging rights over other players. Overall, League of Legends is a great example on how to properly implement this business model and shows how much a free to play game can achieve if monetised and balanced properly around the premium content. Hearthstone is a trading card game (TCG) that has managed to achieve great success online due to its easy to learn mechanics, being free to play and its availability across platforms (currently available on PC, Mac, iPad, iPhone, Android tablet and Android Phone). The game was published by industry giant Blizzard, who chose to set the game in the very well developed world of “ zeroth”, where other titles from the same company such as the “Warcraft” series and the MMO “World of Warcraft” take place, which contributed to an early adoption of the game by fans of their other works, while keeping the setting simple enough that newcomers can still understand the game (Davison, 2013). In Hearthstone, two players face against each other by using a card deck made of 30 cards chosen by the player from their own collection (a total of 566 cards as of the most recent expansion) , attempting to get the opponents health points to zero before losing all of theirs (Ruben, 2014). The great number of cards, paired with the concept of classes - nine different “heroes” with different powers and a small number of class specific collectable cards - makes for a very diverse gameplay experience. Hearthstone also includes a single player adventure mode, with two large areas to explore “Naxxramas” and “Blackrock Mountain”, and a game mode called “The rena”, where the players create decks by picking random cards and match against each other (Lehtonen, 2014). Games like this can still suffer from a “pay to win” problem, as payers obtain the content faster and will then dominate the free players, causing them to leave the game. Hearthstone counters this by having a set called “soulbound” cards, which are available to all players since the beginning and contain very good cards which can sometimes even be used in competitive decks, making it possible to win games and continue collecting cards (Piner, 2014). This game uses microtransactions as a business model and has received great praise by how simplified the currency is (Maddalena, 2014). In Hearthstone there is only one currency, gold, only obtainable by playing the game: for every three wins a player receives 10 gold, up to a maximum of 100 gold per day. There is also a daily quest, randomly given to the player, that can give a reward of 40, 60 or 100 extra gold. For first time players there are also rewards for completing the tutorials and unlocking certain modes in order to help them get started. Gold can then be spent in the game: 100 gold per card pack, 700 gold for each area of a single player adventure or 150 gold to play in The Arena. All of these in game purchasable items can also be bought with real money, yet it’s not possible to directly purchase gold͘ Instead, the game gives gold an inherent value of £1 per 100 gold: packs cost £1.99 for two, with discounts for bulk purchases , and the arena entrance fee can be bought for £1.49. Adventure modes were introduced to the game after launch and are priced at £4.99 per part or £17.49 for the whole experience, which Hearthstone NAXXRAMAS solo adventure pricing, own screenshot. makes them seem like a much better deal than the original gold to money ratio, making many players invest in unlocking these areas with money and saving gold for other purchases. The use of this monetisation method makes it very simple for a paying user to know exactly how much they are getting for their money and free users can still get all the content without having to invest money. Hearthstone NAXXRAMAS solo adventure pricing, own screenshot. A TCG where no real cards are involved was a surprise success - no one expected a game like this to soar in popularity so fast (Williams, 2013) - the game was officially released in March 2014 and by January 2015 the player base exceeded 25 million players (Hern, 2015) and Blizzard’s revenue for the game in 2014 was around $30M (Halliday, 2014). The community is supportive of the business model and frequently creates cheap decks that help new players get started so they are not overwhelmed and the game is also starting to be a competitive eSport, with Blizzard hosting a world championship in 2015 with a 1st prize of $100,000. - Successes: All content available through gameplay, simplified real money to game currency model. - Failures: Microtransactions could impact balance of game, slow acquisition of content without paying. The data collection phase of this dissertation will focus on identifying gamers’ motivation for spending money in free video games, how much money they are spending and their opinions on the microtransactions business model. The primary technique for collecting this data will be a questionnaire, containing eight questions of different formats: multiple choice, scale rating, select all that apply and “yes” or “no” questions͘ There are no open ended questions to avoid problems in data analysis, however discussion on the subject was encouraged together with the questionnaire and some participants have expressed great interest and new ideas on how to view microtransactions in certain video games. The first question asks gamers how long they have played League of Legends or Hearthstone for. This question is relevant to the project as there will be an attempt to establish a correlation between how long people have played the game for and how much money they have spent in the game. The second and third questions ask how they feel about the use of microtransactions in their game of choice and in all video games in general. The answers are measured in a 5 point scale, from “Hate it” to “Love it”, in order to establish if there is a difference in the popularity of the model with players depending on the way it is implemented. The fourth question focuses on the amount of money players have spent in the game, this is the main focus of the study and this question will then be matched against the other data in order to understand what kind of content or time dedication makes a player spend more money in free video games. The fifth and sixth points are about the content that players enjoy buying and the kind of content they despise. This will establish a relation with players spending more money if they enjoy the content and less if they don’t, as well as a means to understand if other free to play games are failing due to offering bad purchasable content. Finally, the last two questions focus on how happy players are with their purchases, asking if they would purchase items again, in order to measure satisfaction with the model. The survey will be web-based and will be published on forums and online communities where players of these games discuss frequently. The advantages of having a web-based survey are that it makes it much simpler to reach a greater amount of population and the participants’ responses will be automatically stored in an Excel spreadsheet. An informed consent form will be posted on the header of the survey and by completing the survey the participants are agreeing take part in this study. Before the statistical analysis of the survey, results will be screened to ensure that all participants have correctly completed the questionnaire and incomplete answers will be removed. This chapter will focus on presenting the findings derived from the surveys. The questionnaires received a total of 400 answers for the League of Legends survey and 386 answers for the Hearthstone survey, which was enough to reach the margin of error goal of 5%. The responses were collected through the use of online community “Reddit” and in Facebook groups of players of League of Legends and Hearthstone. The data will be compiled and analysed in this chapter in order to facilitate further discussion and conclusions to the questions proposed in this study; the raw data and tables used to create these graphs will be available in the appendixes section of the dissertation. League of Legends was released six years ago and as expected, most of the replies come from players who have been playing the game for a long amount of time, as newer players are not as invested in the online communities. Hearthstone was released one year and three months ago (rounded to a year and five months in the options) and had an open beta stage where everyone who wanted could register and play. The communities are still growing very fast, however it was surprising to see so many answers from gamers who played for less than 6 months in this survey. The survey asked the players about the amount of money they have spent in their respective games so far, bearing in mind that League of Legends only offers cosmetic updates and perks via purchases i.e. no content that affects gameplay, while Hearthstone offers content that can affect gameplay (although randomised) but everything in the game is obtainable by just playing the game. How much money have you spent on the game? Unfortunately as there were only two responses from people who have played for less than six months the data collected is not very accurate, although it is probable that a majority of them have not spent any money in this game. Through the other answers it is possible to see a reduction of the amount of gamers who never paid for the game and an increase in the amount of money they spent with the increase of time spent playing the game. The last category in particular “beta/pre-release” had no respondents who were still free to play, but 50% had spent over $250 in the game. This might seem like a huge amount of money for a free to play game, yet these players have been playing the game for years and thousands of hours, so it still seems like a good value for money. Some respondents added that the questionnaire should have higher categories of money and admitted to spending over $500 in League of Legends. Even though previous research seemed to indicate that LOL has a very low monetisation rate this does not seem to match the data collected with the survey, this is probably due to that rate being related to the number of accounts registered rather than the amount of daily players, as each player can register multiple accounts and many will try the game and then quit, which means they will not spend any money on it. Correlation between time spent playing and money spent in Hearthstone. Survey data In Hearthstone this correlation is harder to find; while there is a clear reduction of the amount of respondents who have played the game since beta and have not purchased any content, this number seems to be around a stable 30% of all answers across other time boundaries. This can be explained by a special promotion that the game had during beta where players would receive a special gift for helping to test the store, meaning many players could’ve purchased this in order to receive that content. Unfortunately a question about this was not included in the survey, so it is possible that most of the players who have been invested in the game for such a long time simply chose to pay more without any further reason. There is also a clear increase in the percentage of each time boundary that has spent over $250 in Hearthstone, even with two responses in the 0-6 months category. Players in this game discussed that they see it as an initial investment to help construct better decks and people mentioned that they enjoy spending in bulk when it comes to hearthstone, preferring big transactions in order to enjoy the extra perks that are obtained by buying in this way. - Hearthstone is seen as a more casual game than League of Legends - League of Legends is a MOBA genre game, with a very dedicated audience and eSports platform surrounding it. A game usually will take over 45 minutes to play, meaning it will take a bigger mental and time investment than the TCG Hearthstone, where games usually last between 5-15 minutes and don’t require the player to be as invested. The propagation of Hearthstone to mobile devices has furthered this idea, as most mobile games are seen as casual games. Hearthstone is a newer game - Hearthstone has only been around for 2 years while League of Legends has been around for 5, which means LOL had more time to build an audience and monetise on it. However while observing the responses for under 2 years in League of Legends the percentage of “free to play” respondents is still only around 10% In Hearthstone all content is available to buy with in game currency - the players can simply choose to take their time and obtain all the items by playing the game for longer, while in LOL some items can only be bought with real money͘ This makes “free to play” players stick around and attempt to collect all the cards without spending any money. The types of payment available in each game - at the moment Hearthstone purchases can only be done with Debit/Credit cards, however League of Legends allows payment with mobile phone, pay safe cards, pay pal as well as debit/credit cards, meaning that it’s easier for younger players who don’t have access to a card to still purchase items͘ The type of content available - some players are just not happy with the kind of content that is offered by Hearthstone and would rather pay for other items or continue to not pay at all. In order to understand the kind of content that players are interested in, two questions were asked about the kinds of content they had purchased in the past and what kind of content they would never purchase. Unfortunately, maybe due to a language barrier, a small number of people misunderstood the questions and stated they had previously bought items even though they stated they had not spent any money in the game. The answers were still left in as they were probably interpreted as what kind of content they would be willing to pay for and this is still relevant to the research. This was a checklist question; therefore the percentages will not add up to 100%. Most players have invested in Skins and “Mystery Gift” - an option that lets players send a mystery skin or champion to their friends for a smaller amount of money than it would cost to buy it for themselves, with a still relevant percentage buying champions and rune pages. The last two can arguably have an impact on gameplay, as players with more characters can have more options when going into a game and will avoid spending the in game currency to buy them, being able to save it for other items that are not purchasable with real money and have an effect on game play such as runes. Similar to the League of Legends question, this was also a checklist and the results will not add up to 100%. In Hearthstone, most players are spending money almost equally in card packs and adventures, but the arena tickets do not seem to be popular with the payers. This is possibly due to the arena tickets not directly offering a reward to the player, unlike the card packs and adventures that will always give the player exactly what they purchase. to buying XP/IP boosts or having the option to purchase extra maps/content, as that would mean a pay wall to the game that so far has given that content to players for free. In hearthstone, as seen from the kind of content players pay for, there is a discontent with the arena ticket purchases. Only 12% of people answered they would never pay for solo adventures, which means a lot more people are willing to pay for them; these adventures, in the context of the money to real money ratio, are a very good deal, as discussed previously, and require a very big time investment from the players to unlock without paying for it. Players were also asked about video games with the microtransactions model in general. Respondents were asked to rate their affinity with the micro transaction model from 1 “Hate it” to 5 “Love it”͘ s evidenced by the graph, the general opinion of video games with microtransactions follows a near normal curve, slightly skewed by the fact a very low amount of population selected “Love it” as answer͘ Meanwhile, both the players of Hearthstone and League of Legends believe that their video game does a better job with microtransactions than other games using the same model. The LOL players in particular have a very good opinion of how microtransactions are handled in this game, with less than 10% of the sample having a negative opinion of the model, when compared to the 18% of Hearthstone. League of Legends is also the only one of the surveyed groups that has a majority of players being favourable to the model with 57% selecting 4 or above, a great difference to Hearthstone’s 39% and general 24% ratings͘ This data can be influenced by the fact that a greater percentage of League of Legends players has spent money in the game and they are happier with the content they are purchasing. Overall, the surveys reveal a satisfaction of the players with the microtransactions model in their respective video games, with many spending above the retail price of a AAA video game in them and expand on what kind of content players enjoy, creating a better understanding of the subject and confirming many hypothesis that had been established prior to their completion. The microtransactions business model has proved very successful in the past and it will likely continue to be successful in the next few years, as companies seem to be developing games with this model in mind and mobile gaming is continuing its fast growth. Examples like Farmville, League of Legends and Hearthstone show that it’s possible to release a game that is free to play at its core and still make millions in revenue, however it’s necessary to ensure that the player community enjoys the business model and the content offered in order to retain their loyalty͘ Players who get frustrated with the game’s pay walls are more likely to migrate to different games (and with the great variety of games it’s not hard to find a different game that offers the players a similar experience), which means the game will lose its only source of income͘ Treating players as an infinite resource was Farmville’s biggest mistake and it caused the game to fail after there were no more players picking up the title, so customer satisfaction is definitely a big factor when it comes to ensuring the success of microtransactions. The previously discussed EA case, together with other AAA game publishers, can work in a different way, as these companies charge players upfront for the content; they feel like they can take risks with the multiplayer modes, adding microtransactions to allow players to progress faster. In theory they would have nothing to lose as the games have already been paid for and whether players decide to invest in the extra microtransactions or simply ignore them, however the community backlash is also an important factor and in E ’s case it gave the company a very bad reputation for several years. The surveyed player base has an average opinion of the model, yet feels that games like League of Legends have truly implemented it with great success and are giving the customers what they want. This is what makes the game one of the most successful titles in the market. Overall, microtransactions can work very well as a business model, as long as companies keep in mind their customers are their first priority and must enjoy spending money in their title, with the profit and paywalls taking a background position. In this study, players have expressed their opinions about the kinds of content they are happy to pay for, and when discussing business models it’s necessary to understand that if players are not interested in the available content then they will not pay for it. Using the data collected with the surveys, most player of League of Legends seemed extremely happy with the model and with the content that was available to them. Most respondents agreed that cosmetic upgrades were their favourite items to purchase, and mentioned that if that was the only product available to buy with microtransactions their opinion of the model would greatly increase. The case of Hearthstone is slightly different, as less respondents are paying in that game, but most seem to buy the best value for money deals and the ones that will probably influence their gameplay the most - as even though the card packs are random, buying more will increase the chance of receiving better cards. This is a very different approach than the cosmetics only, however, because the game allows players to get all content through gameplay alone, it still maintains a balance between the paying players and the free to play ones. Both Hearthstone and League of Legends have avoided the situations described before, where the content purchased either allows paying players to completely dominate the free to play ones or where it’s more interesting to play the game without paying for content. This means both games retain their existing player bases and the players that are willing to pay for extra perks can do so without damaging the balance of the game. - looking at the mobile game industry, many companies are using these as pay walls to force customers to monetise (such as the case of Dungeon Keeper, discussed in the EA case). This creates a situation where the players might pay the first or second times but will quickly grow tired of investing money in a game that is not fun for them, causing the game to fail. Overall, players seem to agree that as long as the content doesn’t directly influence the gameplay there are no problems with the micro transaction model and they are happy to spend money buying extra perks or content when this seems like a good deal. During the case studies and the surveys, five different games or implementation models were analysed: Farmville’s classic social game approach, of making the player pay for content and skipping the waiting times, Mass Effect 3, a AAA game with a high retail price that included microtransactions in its multiplayer mode and made this mode a requirement for the single player experience, Dungeon Keeper, a mobile game with paywalls and waiting times that border the extreme of the model, League of Legends, a MOBA genre game where premium content can only be purchased with money yet has no effect on gameplay and Hearthstone, a TCG where all content is available to obtain through gameplay alone and mostly all available to buy with money as well. Looking at all these different games and how differently they chose to do the models, it can be concluded that the model seems to work best when the content available is only cosmetic or when everything in the game is achievable by spending more time in the game, as long as the gameplay balance is not affected. There were several examples of how to implement the model correctly yet some of them eventually failed to achieve good revenue or lost their player base. In the case of Farmville this happened through a failure to understand its players, paired with the tighter pay walls and spam, which alienated their free to play gamer base, causing a loss of content for their “whales” and finally going to one of the most popular and played games to a small shadow of its former glory. In the case of Dungeon Keeper, a game that already had a fan base built in before launch due to being a remake, people were alienated by the fact the game was unplayable without investing a great deal of money in it, causing the game to ultimately fail when players weren’t committed enough to spend that much money in the game. Finally, in AAA games the model seems to be reasonably successful but the player community is not happy with their implementation, which in some cases causes popularity backlash to the companies that are publishing these games. All of these examples should be taken into account when understanding what not to do when implementing this business model, especially Farmville (because of how successful it was at the peak of its popularity), and companies should be proactive in ensuring that players are happy with the content they are being sold and with the presence of microtransactions in the game. In this dissertation the business model of microtransactions was explored, including how the model was born, how companies attempt to maximise their profits and what kind of commodities they sell to their players. Through analysis of four company cases and two surveys to players of free to play games that include this business model it was possible to formulate hypothesis to answer the questions proposed in the beginning of this project. This subject is a very interesting area of study due to its relevance to modern day business, namely in the video game industry which has not stopped growing since 1985. While the objectives of the study were met, there are limitations to the conclusions. One of the topics that was not approached in this dissertation was the relevance of player motivations to not spend money in free to play video games: they can come from a sense of entitlement to free content, not enough interest in the game or the purchasable content or they can come from a lack of monetary funds to invest in the game. A study in this area would likely complement the work that was achieved in this project. Overall, the microtransactions business model has the potential to be one of the most successful monetisation methods in video games, providing companies do not alienate their player bases and are careful with the content they offer and the balance between paying and free populations. Ayres, T. F. (2009). Jogos e o Fluxo de Capital Simbolico no Facebook: Um estudo dos casos farmville e bejeweled blitz. Simposio Nacional ABCiber. Sao Paulo. Calypso, A. S. (2007). Real Life Online. Black Enterprise, 60. Ernkvist, M. (2008). Down Many Times, but Still Playing the Game: Creative Destruction and Industry Crashes in the Early Video Game Industry 1971-1986. In K. G. Stiefel, History of Insolvency and Bankrupcy from an International Perspective (pp. 161-192). Huddinge: Södertörns högskola. Farivar, C. (2013, September 12). How Zynga went from social gaming powerhouse to has-been. Fields, B. C. (2012). Social Game Design - Monetization Methods and Mechanics. Waltham: Elsevier. Kent, S. L. (2001). The Ultimate History of Video Games: from Pong to Pokemon and beyond - the story beyond the craze that touched our lives and changed the world. New York: Three Rivers Press. Keyes, R. (2014, December). EA Targeting A Billion Dollars From Microtransactions & DLC This Year. Krom, C. L. (2012). Using FarmVille in an Introductory Managerial Accounting Course to Engage Students, Enhance Comprehension and Develop Social Networking Skills. Journal of Management Education, 848-865. M. Bekoff, J.A.Byers. (1998). Animal Play: Evolutionary, Comparative and Ecological Perspectives. New York: Cambridge University Press. McGonigal, J. (2011). Reality is Broken. Penguin Books. Morales, K. O. (2011). FarmVille for Dummies. Hoboken: Wiley Publishing. Reahard, J. (2014, October 24). League of Legends poised to generate $1 billion in annual revenue. Redheffer, R. (1948). A Machine for Playing the Game Nim. The American Mathematical Monthly, 55. Takahashi, D. (2014, June 9). Why EA won't be the worst company in America anymore (interview). Veloso, S. A. (2010). Heuristic Evaluation of Farmville. Prisma.com - Especial Videojogos2010, 1-15. Wolf, M. J. (2001). The Medium of Video Games. The University of Texas Press. Wolf, M. J. (2008). The Video Game Explosion: a history from Pong to Playstation and beyond. ABC-CLIO.